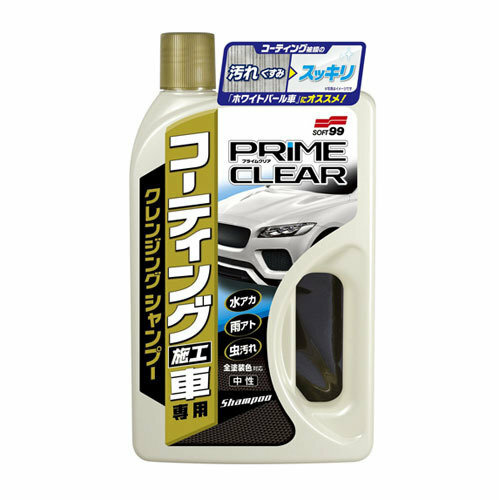 This cleansing shampoo can remove stubborn dirt which adheres onto coated layer surface. Micro powder can remove water stain and water mark throughout. This can use up to 7 middle size vehicles and compatible for all colors. Neutral type doesn't damage to coated layer. * Wash off the body in advance. 2. Put shampoo directly with soaked sponge and wash car. 4. Wipe off water with towel or absorbent cloth. * The effect gets weaken if apply with small amount or degree of dirt, then use plenty of shampoo. * It is possible to use for window or mirror, however in case of unevenness occurred, wipe off with wrung towel.